Vitiligo is a skin condition in which there is a loss of brown color (pigment) from areas of skin, resulting in irregular white patches, that feel like normal skin. Vitiligo treatment is not impossible and the color spots can be diminished with proper medication and diet. What causes Vitiligo (Skin De-pigmentation)? Research tells us that over 1% of the people in the world face severe de-pigmentation on their skin that result in loose patches of discoloration on their body. Even though, vitiligo is not a life threatening condition but people suffering from it have to fight a great deal emotionally. Patients often feel a decline in their quality of life and tend to stoop into depression very quickly. Despite of extensive on-going research, any particular cause behind the occurrence of Vitiligo cannot be highlighted but it is generally perceived as an autoimmune disease; which means that a person’s body accidentally attacks its own system misinterpreting it as an antibody. This results in the death of pigment producing cells which cause the appearance of milky-white patches on the surface of the skin. However, the positive aspect is that this condition is treatable and several successful procedures are being carried out by specialists around the world. Vitiligo is a medical condition that results in patches of discoloration on the skin due to the loss of melanin in a person’s body. Melanin is a pigment produced by melanocytes; Cells which are responsible for the color of the skin along with protecting it from the harmful rays of direct sunlight. 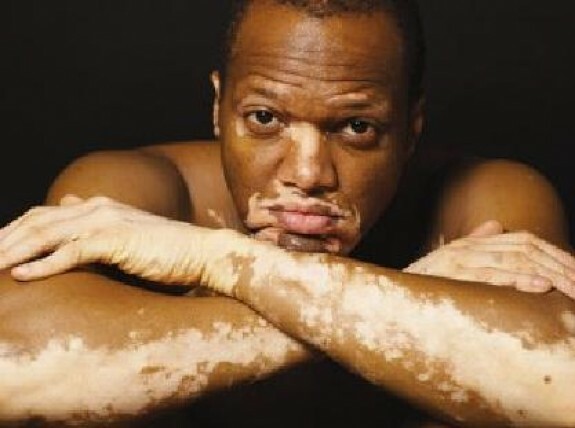 Due to unknown reasons, these cells either die or become dysfunctional rendering various areas of the body discolored and giving rise to ‘Vitiligo’. It’s safe to say that this condition does not have harmful effects’ on a person’s general health or physical life but it may take its toll psychologically. Even after years of continuing research and examinations, the root cause of Vitiligo is unknown. However, a majority of medical experts stand unanimous on categorizing it as an autoimmune disorder. The autoimmune system in a one’s body is responsible for fighting against germs and other harmful antibodies. However, in some cases, this system gets fooled into believing that other organs or cells of the body are harmful and thus, it fights against them resulting in conditions like Vitiligo, lupus, Addison disease, psoriasis and various other autoimmune diseases. Some research suggests that apart from autoimmune, this disorder may arise from genetics, oxidative stress, neural or viral causes. Other researchers believe that the melanocytes destroy themselves while some think that a strong sunburn or emotional distress can cause Vitiligo. However, these conditions are not substantial reasons for the disorder. Is Vitiligo common and contagious? People are generally not comfortable in greeting Vitiligo patients with gestures that involve physical interaction such as shaking hands. But these fears are totally unnecessary. Touching someone who is suffering from this disorder will not put someone to any risk of acquiring it. Such behavior may however result in lowering the self esteem of these patients. Read more to learn if Vitiligo is common and contagious. Sudden discoloration in any part of the body leaving milky white patches on the skin. Premature whitening of scalp hair, eyebrows & eyelids and beards. Loss of color in the tissues inside ones’ mouth or inner layer of the eyes. More about Vitiligo symptoms and growth patterns. If someone finds the occurrence of the above mentioned symptoms, they should hurriedly consult a dermatologist for a thorough medical checkup. The doctor may ask a set of questions to understand the patients’ history, habits, lifestyle and the possibility of Vitiligo within family or relatives. The doctor will then proceed to physically examine the areas where de-pigmentation has been occurred in order to exclude any other possible skin problems. In some cases, doctors refer to some blood tests and eye examinations along with biopsy to ensure apt diagnosis. 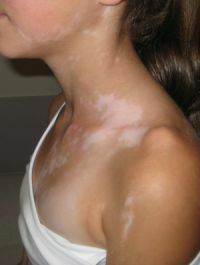 Read more about Vitiligo diagnosis and treatment. Black pepper is also used for Vitiligo Treatment.